How many gigabytes of RAM How to Troubleshoot Low RAM or Memory Leaks in Windows How to Troubleshoot Low RAM or Memory Leaks in Windows Do you have 4 or more GB of RAM and does your computer still feel sluggish? You may suffer from a memory leak or shortage. We show you how to troubleshoot all your Windows (10)... Read More does your computer have? 8 GB? 16 GB? 32 GB? What if we told you that having more RAM will actually take away storage space from your drive? By default, Windows 10 comes with the hibernation Sleep Mode vs. Hibernate Mode: Which Power-Saving Mode Should You Use? Sleep Mode vs. Hibernate Mode: Which Power-Saving Mode Should You Use? What exactly does Sleep mode do? How is it different from Hibernate mode, which is an extra option on Windows computers? Which should you choose, and are there downsides to using them? Read More feature turned on, and if you have a large drive, this is great, because it’ll make your device turn on faster since Windows creates a file (“hiberfil.sys”) that stores key settings that the OS needs to turn on. The file is allocated about 75 percent of your computer’s installed RAM! 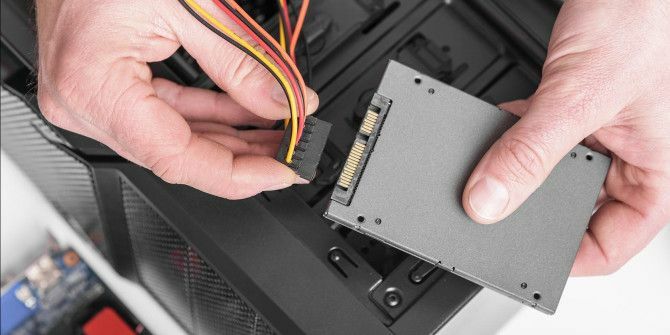 The problem comes when you really need every GB of space, such as if you’re using a small SSD The Absolute Worst SSD Myth That You Shouldn't Believe The Absolute Worst SSD Myth That You Shouldn't Believe This SSD myth sounds scary but hasn't been true in a long time. Do you still believe it? Read More . Losing as much as 24 GB of space could be a problem. But the solution is simple enough: just disable hibernation! To do so, you’ll need to right-click the Start button and click Command Prompt (Admin). In the command prompt window type powercfg.exe /hibernate off and press Enter. If you decide you want hibernate back again, simply follow the same steps above, but type powercfg.exe /hibernate on instead. Do you use Windows 10’s hibernate feature? Do you prefer to save the space? Let us know in the comments! Nothing new, that already existed in Windows XP. But it'S one of the biggest built-in space savers besides managing the swapfile manually. wow thank you, you just gave my 120 GB SSD 10 GB back yes 10 GB! I just disabled hibernate on two Windows 10 machines, and the hiberfil.sys immediately disappeared. I didn't even have to delete it! And one of the machines is a desktop PC that doesn't ever hibernate anyway. I use the hibernation feature often, as I often need to get back to the same business state of my laptop between meetings. I disabled hibernation, now I have 2GB of space more on my hard drive. When I turn it on then these 2GB dissapeares.